Pentecost is the day the Church celebrates the coming of the Holy Spirit on Christ’s disciples after his ascension into heaven. 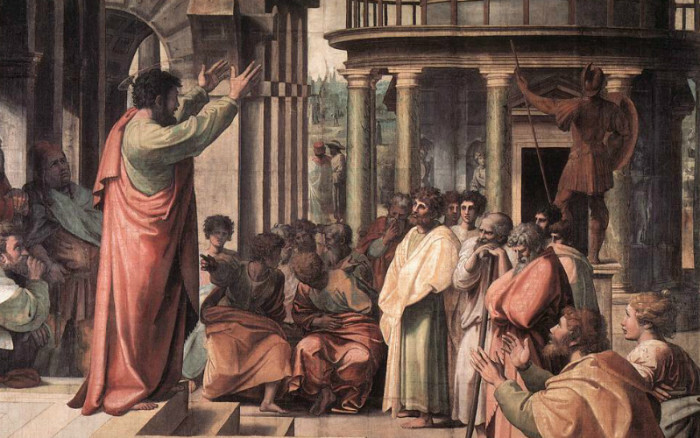 Emboldened with the gift of God, St. Peter preached to the crowds, and 3,000 people were baptized that day. St. Peter’s sermon appears in Acts 2.14-41, and I recommend taking a minute to read through the whole thing (it’s not very long). The mandate given to the Church by Christ is clear: to preach the Gospel to the whole world for the salvation of souls. Pentecost is often called the “birthday of the Church” because it is on that day the Apostles, strengthened by the Holy Spirit, started that task. Notice that the task of the Church isn’t to make people feel comfortable about themselves or even simply to exhort fellow Christians. The Church’s primary task, following the example of St. Peter, is to go out to the streets and preach the Gospel to people who are not already saved. Peter quotes extensively from the Old Testament books of Joel and Psalms in his short sermon. But wait, why is he focusing so much on the old? Won’t he bore people? Shouldn’t he just focus on Jesus? While it’s true that he was preaching to Jews who would already have an appreciation for the Old Testament, it’s also important to remember that the Gospel of Jesus Christ didn’t come to the world in a vacuum, but came as the culmination of centuries of God preparing his people to receive it. The Old Testament isn’t boring or unnecessary. Not only is it just as inspired as the New Testament, the Old Testament preaches Christ and is indispensable for understanding the Gospel. Whoa! Is St. Peter being too harsh? If he points out people’s sin and its consequences, won’t he turn people off? Maybe he should just stay positive and talk about how much Jesus loves them. Except that you can’t understand the Gospel without understanding sin! Salvation from our sins is precisely what the Gospel is! Jesus’ very name means “God saves,” and it was given to him “because he will save his people from their sins.” (Matthew 1.21) If people don’t know that they are sinners in desperate need of God’s grace for salvation, then it won’t be clear why they need Jesus at all in the first place. He tells them to do two things: to repent, or turn away, from their sins, and to be baptized. Notice that he doesn’t tell them to simply have faith, or to say a prayer asking Jesus into their heart, or to dedicate their life to Jesus. Those are all important, even necessary things. But insofar as Peter may be calling them to do those things, it must be implied by or contained in his call for repentance and baptism – both things that are distinct from faith. In other words, Peter didn’t preach that the only thing a person needs is faith to be saved. And he didn’t treat baptism as a later, public symbol of someone’s faith. Rather, he clearly preaches that repentance and baptism are what a person does for the forgiveness of sins in the first place. This is in line with Scripture’s other teachings about baptism, namely that it is the means by which we “clothes ourselves with Christ” (Galatians 3.27), are “baptized into his death” (Romans 6), and are “saved” (1 Peter 3.21). While the very nature of faith demands that every person have full freedom with regards to choosing or rejecting the Gospel, that doesn’t mean that there aren’t consequences one way or the other. Sin is serious and will send a person to hell. Even though Peter was interrupting unbelievers in the course of their normal day, quoted the Old Testament, called them sinners, told them to repent and be baptized, and warned them to save themselves from their “corrupt generation,” 3,000 people turned to Christ on that first day. The fathers of the Second Vatican Council hoped that the council would usher in a “new Pentecost” for the Church. To bring that about, let us learn from the example of St. Peter on the first one. 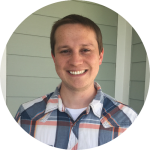 Brantly Millegan is the Founder and Editor-in-Chief of ChurchPOP. You can learn more about him on his personal website brantlymillegan.com.